Homes for Sale in Hillcrest | Prospect, Kentucky | Hillcrest Subdivision | Joe Hayden Real Estate Team - Your Real Estate Experts! Learn more about Hillcrest Homes for Sale by browsing the property listings below. The Hillcrest Subdivision is located in Prospect, Kentucky. 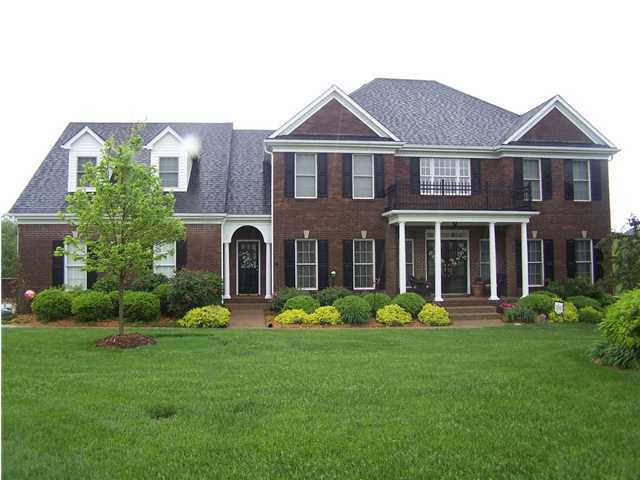 View all Hillcrest Homes for Sale on the Louisville MLS listings! The Hillcrest Subdivision is located in Oldham County off of US 42 near Prospect, Kentucky. The subdivision features open spaces, a large clubhouse, an olympic-sized pool, tennis courts, and volleyball courts. Homes in Hillcrest are typically less than 15 years old and most of the homes are constructed of brick, giving the neighborhood consistent appeal to residents. Because the subdivision is located near the city of Prospect, KY, residents are able to enjoy local amenities such as shopping and fine restaurants. Hillcrest is a great place to call home, remaining one of the most popular subdivisions in the area! Homes for sale in Hillcrest range in price from $300,000 to over $800,000. Most homes in the neighborhood have basements and many of those basements are finished. In addition, homes typically feature upgraded kitchens with granite counter tops, luxurious master bathrooms, open floor plans, spacious yards, and crown molding. Most homes in the neighborhood can be considered luxury homes. There are several benefits to owning a home in Hillcrest and they include wide, tree-lined streets with sidewalks that you can use for fitness, rolling hills that add to the neighborhoods beauty, and close-nit community feel that draws in residents to buy homes in the subdivision. Developed on farmland located in Oldham County near Prospect, KY, the subdivision of Hillcrest has quickly becoming one of the area's premier neighborhoods and places to call home. Living in the subdivision means that you will have access to the award-winning Oldham County Public School System. This school system draws many parents to the area to consider a home in neighborhood to benefit their children. In addition, the City of Prospect offers residents many excellent lifestyle choices making living in Hillcrest more enjoyable. For example, you can boat in Harrods Creek which takes you out to the Ohio River, you can eat at a fun restaurant such as the Blackstone Grille, plus you can shop at eclectic shops such as Brownsboro Hardware. Hillcrest offers something for everyone and this makes for a fantastic neighborhood.